Dr. Kevin Foley is a professor of neurosurgery, orthopaedic surgery, and biomedical engineering at the University of Tennessee Health Science Center in Memphis, Tennessee. He also holds an academic appointment at the Uniformed Services University for the Health Sciences in Bethesda, Maryland. He serves as director of complex spine surgery at Semmes Murphey Neurologic & Spine Institute, director of the spine fellowship program for the University of Tennessee Department of Neurosurgery, and medical director for the Medical Education & Research Institute. 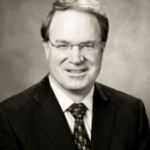 Dr. Foley received his doctor of medicine degree from the University of California, Los Angeles in 1979. After an internship at Letterman Army Medical Center, he returned to UCLA in 1980 to complete his neurosurgery residency. Following residency, Dr. Foley served in the United States Army Medical Corps as assistant chief of neurosurgery at Brooke Army Medical Center, chief of neurosurgery at Tripler Army Medical Center, and chief of neurosurgery and residency program director at Walter Reed Medical Center. In 1992, Dr. Foley left the military to enter private practice and pursue an academic career. In addition to a full-time surgery practice, Dr. Foley is actively involved in research in minimally invasive spine surgery, disc regeneration, and spinal biomechanics. He has authored more than 30 book chapters and more than 90 journal publications. He has lectured at more than 200 scientific meetings and educational workshops and has been a visiting professor and invited lecturer at several universities in the USA and abroad.